Again stealing from a recent FB post (again I swear, I don't check in every time I see a movie): If there's anything I've learned in all my years of movie going, it's that Shyamalan movies must be seen on opening night, lest you be spoilt! Not counting Split, I'd only seen 2 Shyamalan movies unspoiled: The Village and The Visit, both of which I also insisted on seeing opening night. Hell, I even remember thinking it'd be okay to wait to see The Happening until Sun after its release, only to unintentionally overhear the plot twist on Sat (I think I told that anecdote when I wrote up The Visit). Besides, now that I'm starting a new job on Mon (oh yeah, I got a job! More on that later later, as in not in this post, but soon) I can more easily afford a full price ticket and it'd be best to get this week's releases in early instead of saving something for discount Tuesdays. But I'm rambling now. 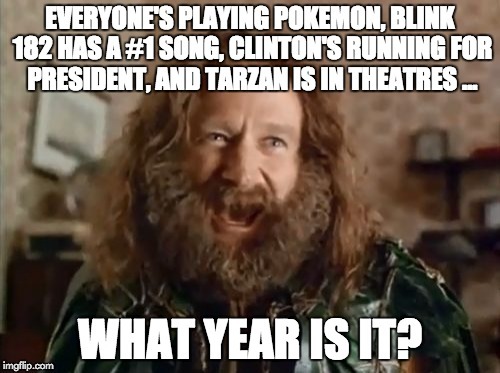 There was a meme going around the internet recently questioning what year it is. Basically with things like Pokemon and Jurassic Park being popular again, and a Clinton running for president, it felt like we'd taken a Delorean to the past and no one told us. For me, as soon as I saw the first trailer for Split, my add in to the meme was "I'm excited for a Shyamalan movie?!" This one stars James McAvoy as a many with disassociate identity disorder (more commonly referred to as multiple personalities) who abducts three teenage girls for some mysterious and nefarious purpose. What got me excited is that despite his slump, I still respect Shyamalan as a writer and director, and with The Visit, he was starting to get his groove back. Add in a plot that really interests me (when DID is done well, it's fantastic) and the psychological thriller vibe that I can't get enough of, shut up and take my money. So of course, I loved it! I feel like maybe the whole auditorium wasn't quite with me, esp for a couple of stretches towards the end (which is as much as I'll say on the subject), but Rotten Tomatoes already certified the movie fresh, so I can't be the only one. As with The Visit, scaling back to a smaller more intimate film was a very successful formula for Shyamalan, and I generally find that simpler horror films are better anyways. No, it wasn't on the level of The Sixth Sense, but let's face it, no other film will ever be again. There were some forgivable flaws here and there, but nothing that drastically took away from the film, especially the high level of suspense. Now while M Night did his job well, the MVP of this movie is James McAvoy. Without thinking too hard about it, this could be his career best performance, or it's at least his showiest one. The key to playing multiple characters is to be able to distinguish them, and there was never any question as to which personality was in command at any given time. Even when the switches weren't aided by costume changes, it was still clear from his voice and physicality who we were talking to. We only got a fraction of the 23 personalities in his head, and while from a storyline stand point I get that it makes sense to keep it simple, I would have loved to see more. Everytime we met someone new I got so excited to see what he'd bring.